Pink (azalea) winter Rippey S9512W snowboard pants made by Sims. Zipper pockets, zipper ventilators, elastic leg snow stops with button snaps, velcro waist adjusters, size S, excellent shape - looks new. 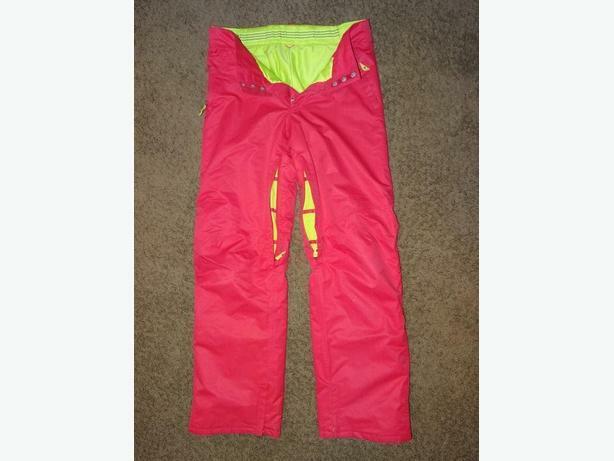 Waist adjustable from 26"-34", Top of waist to bottom pant leg measures 42", In-seam measures 32".